Thousands of people have greeted the Queen in the East Midlands. The Duke and Duchess of Cambridge met the Queen in Nottingham, where Prince William made his official tribute to the Queen for the Jubilee. 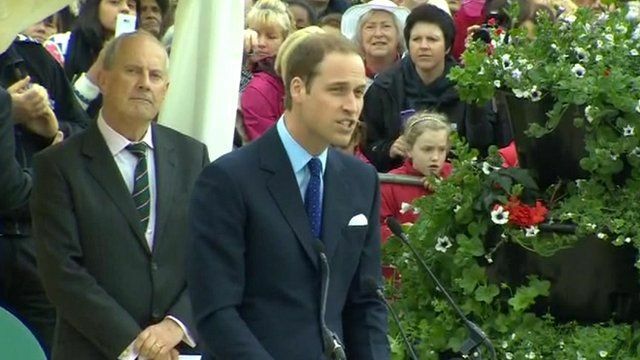 During his speech about the Fields in Trust Charity, Prince William said he felt a bit of an 'interloper', as the Queen was patron and his grandfather, the Duke of Edinburgh, has been president of the charity for 60 years.